Kathy Krier Conklin, 68, of Sun Lakes, AZ, formerly of Emery, SD died Wednesday, November 7, 2018 at her sister’s home at Bridgewater, SD under the care of AseraCare hospice. A Celebration of Life Memorial Service will be held at 10:30 am, Wednesday, November 14 at St. Stephen’s Catholic Church in Bridgewater, followed by a reception and lunch. Private graveside service will be held later that the day. Kathleen Ann Conklin was born July 20, 1950 to Isidore and Lenora (Wethor) Krier. She was a graduate of Emery High School in 1968. Kathy married the love of her life, Clark Conklin in November, 1975. They had a wonderful life together and moved to Arizona in the winter of 1990. There they enjoyed playing golf and swimming in their pool year round. Kathy so enjoyed spending time with her family, welcoming her family in her home in Sun Lakes, loved to laugh and have fun, talk politics, and cheer on her favorite football teams which were the Minnesota Vikings, Dallas Cowboys and the Arizona Cardinals. 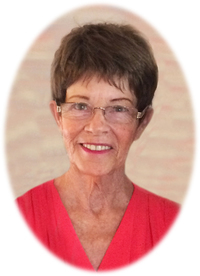 She practiced Real Estate in Sun Lakes, AZ, until her retirement in 2015. She was a member of the St. Steven’s Catholic Church in Sun Lakes, AZ. Kathy is survived by her siblings: Ron (Bev) Krier of Rapid City, SD, Patty (Dave) Chandler of Fargo, ND, Matt (Della) Krier of Longmont, CO, Terri (Paul) Richards of Bridgewater, SD, many nieces and nephews, step-son, Mark (Cindy) Conklin of Dallas, TX and Dara of Lakeland, FL, four grandchildren and five great grandchildren. Kathy was preceded in death by her husband, Clark Conklin, her parents, step-son, Doug, sister, Connie Fuoss, brother-in-law, John Fuoss, nephew, Scott Krier, and great niece, Tia Krier. Kathy was loved by and will be truly missed by her family and friends. In lieu of flowers, you may donate to AsceraCare Hospice.